Journalist and author Jonah Lehrer has had his latest book pulled from shelves over quotes that ‘didn’t exist’. A STAFF WRITER for The New Yorker magazine has resigned and his best-selling book has been halted after he admitted to inventing quotes by Bob Dylan. Others were “unintentional misquotations, or represented improper combinations of previously existing quotes”. Tablet Magazine uncovered Lehrer’s actions. In an in-depth story released yesterday, writer Michael Moynihan of Tablet examined the Dylan quotes from Imagine: How Creativity Works. … stonewalled, misled and eventually outright lied to me. Lehrer eventually confessed to never having met Bob Dylan’s manager Jeff Rosen. He had previously said that it was Rosed who provided him with unreleased interview footage of the singer, and that this was where the quotes on creativity had come from. I told Mr. Moynihan that [the quotes in question] were from archival interview footage provided to me by Dylan’s representatives. This was a lie spoken in a moment of panic. When Mr. Moynihan followed up, I continued to lie, and say things I should not have said. The lies are over now. I understand the gravity of my position. I want to apologize to everyone I have let down, especially my editors and readers. Listings for the e-book edition of Imagine will be removed and shipments of the physical book have been stopped. Imagine, published in March, has sold more than 200,000 copies, according to Houghton Mifflin. It has spent 16 weeks on The New York Times’ hardcover nonfiction bestseller list and yesterday had ranked No. 105 on Amazon.com. Lehrer had already gotten himself into hot water last month after it emerged that he had recycled some work that he had written for previous publications. New Yorker editor David Remnick has said that he has accepted Lehrer’s resignation, and that it was a terrifically sad situation, but, in the end, what is most important is the integrity of what we publish and what we stand for”. Among Lehrer’s inventions was a quote that first appeared in the famous documentary from the mid-1960s, “Don’t Look Back,” in which Dylan tells a reporter about his songs that “I just write them. There’s no great message”. In Imagine, Lehrer adds a third sentence — “Stop asking me to explain” — that does not appear in the film. According to Tablet, Lehrer also invented quotes on how Dylan wrote Like a Rolling Stone and, when confronted about them, alleged that he had been granted access to an uncut version of No Direction Home, a Dylan documentary made by Martin Scorsese. Lehrer now says he never saw such footage. Last year a columnist for the Irish Examiner was investigated following allegations of plagiarism, while Independent columnist Johann Hari was suspended from the paper after his work was questioned. In 2003 a New York Times reporter Jayson Blair was found to have fabricated stories and had lifted information from other publications without attribution. The Guardian reported at the time that all 673 of Blair’s stories were retrospectively fact-checked by the paper. Over the past decade, numerous books have been pulled, whether because of lifting material from other sources (Q.R. Markham’s Assassin of Secrets) or fabricating events (James Frey’s A Million Little Pieces). 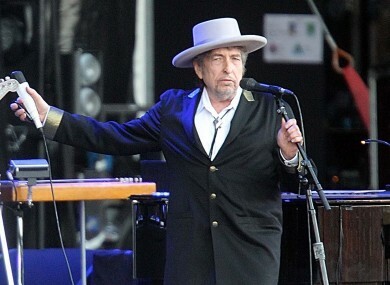 Email “New Yorker journalist resigns after fabricating Bob Dylan quotes ”. Feedback on “New Yorker journalist resigns after fabricating Bob Dylan quotes ”.